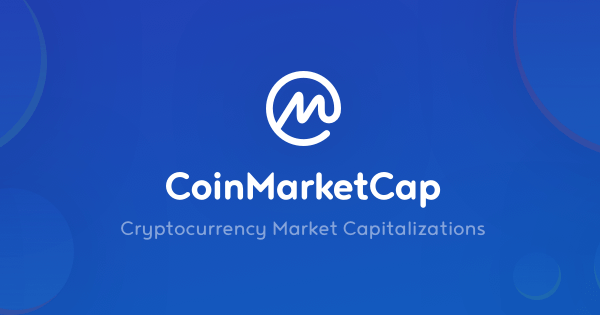 How Important is Coin Ranking on "Coinmarketcap"? So I was asked yesterday by a mate how important a digital asset's positioning is on the "Coinmarketcap" website. He himself is quite heavily invested in Bitcoin and EOS and I could tell that maybe this was also a little dig at me as my largest stake is currently sitting at spot #44 and starts the letter "S". Well, the conversation went quite deep but I thought it would also be cool to highlight a few of my own thoughts about this arguably divisive subject. Well, I reckon the most important thing to look at is the total marketcap of the entire crypto space, currently standing at around $140 billion dollars. Now look at the market capitalization of, let's say, Amazon. That sits at around $900 billion. More than six times the "whole" crypto market combined. I mean, as far as I'm concern, there's your answer right there. Crypto currency is a potentially revolutionary form of transacting and fast-payments finance spanning the whole world and yet we can only encompass a fraction of some of the biggest companies out there. Hell, even Microsoft and Google are over $800 billion each. The point is, I feel we are too way early in the game to give any credence to the position of any digital asset and therefore how much better it is than it's various counterparts. Take STEEM, for example, that not too long ago was ranked #53 in the charts, only to have a pump in price and get pushed up into the #34 spot, then ultimately come back down to #44. It's akin to a roller coaster ride and hence can in no way invalidate the importance of another coin over or below it. And the same goes for many other coins out there with similar stories to tell. Some have even gone as far as to say we are at the "sludge at the bottom of a swamp" stage, biding our time until we evolve into something far, far greater than what crypto is now. Everything is very experimental and I think that sums up my feelings for crypto as a whole. Although that's not to say I don't hold it in high regard or think we are on to something world-changing. All I am trying to say is that things take time to mature and crypto is still at the very start of it's "decades-long" journey to mass global acceptance. But this doesn't stop the competition being as fierce as it is. After the apocalyptic run BTC had from a few cents all the way to where it is now, everybody wants to create the "next big token" and prove their unique use-case sellng point for crypto currencies. This is a great thing for us as it is producing a surge of interest and innovation via a myriad of talented individuals, albeit from a purely developmental standpoint. All this activity taking place whilst the rest of the world sleeps on it. And this is where "Coinmarketcap" is relevant, to some degree. It paints a nice pictorial view of where each coin lies in relation to the other. An at-a-glance comparison to see where your direct competition lies, within a narrow context of things. But to make these bold statements that a coin you own is better than any of the rest, knowing the interchangeable nature of the charts, is a little conceited. Let's come back to this topic in about ten years time and see what's what. I'm sure many of us will be very surprised at the results we find. We are definitely in the early days, plenty of people working on experiments and proving decentralized concepts. All in all this will be an exciting journey for sure! You run a great service and as time goes on, it'll become more and more relevant as the masses on-board. I bet coingecko rank will surpass coinmarketcap rank soonish !!! Keep up the good work @coingecko we are supporting your efforts and dedication to sttem platform. I tend to see it similar to the dotcom bubble where valuations and market caps went up exponentially and then back down because investors could bot provide a value other than the price at which they were matching sellers with buyers. Those days, Amazon had negativr cash flows and net income which have traditionally been the method to value stocks. However, visionaries started to out models together to create valuations for them and hit a home run by investing in them. The same is happening in crypto today and those that are able to visualize the value creation (which I think is based on the infamous “network effects”) will be winners no matter where they are at today in the spectrum. People like to compete and compare, and they love numbers and rankings to prove it. Because one coin is ranked higher than an other doesn't mean its better. At the stage mist coins are built on popularity and marketing hype. When the dust settles we will see who comes out on top. We still have a long way to go. Thank you so much for participating in the Partiko Delegation Plan Round 1! We really appreciate your support! As part of the delegation benefits, we just gave you a 9.15% upvote! Together, let’s change the world! One biggest difference between these big companies and cryptocurrency is that these businesses are for personal use and influence but crypto help to bridge the gap between the poor and the rich. Sooner than later am very sure crypto will be our major source of transaction. You just got a 0.93% upvote from SteemPlus!